Trouble has been brewing in the Republic of Gamers for a while now. One ruling faction of the Republic believes that it should serve extreme overclockers with boards branded ‘Extreme’ while the other wants to stay true to its name and serve gamers with a range of boards with the ‘Formula’ suffix. There is a third party in the Republic of Gamers that believes that residents want small boards (called Gene). However, as live television debates have yet to make it to the Republic of Gamers, this party will continue to be overlooked despite strong showings from boards such as the Rampage II Gene. 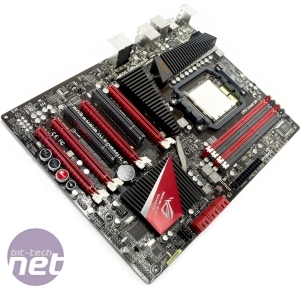 As the name suggests, the Crosshair IV Formula (C4F, hereafter) is of the gamers camp, and followers of that party may also remember that the Crosshair name tends to be applied to AMD motherboards. 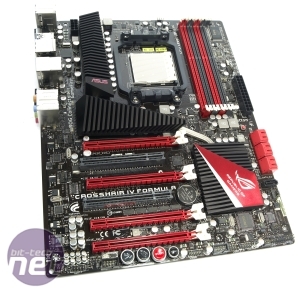 In fact, the first RoG motherboard ever was the Crosshair that we first saw back in January 2007. 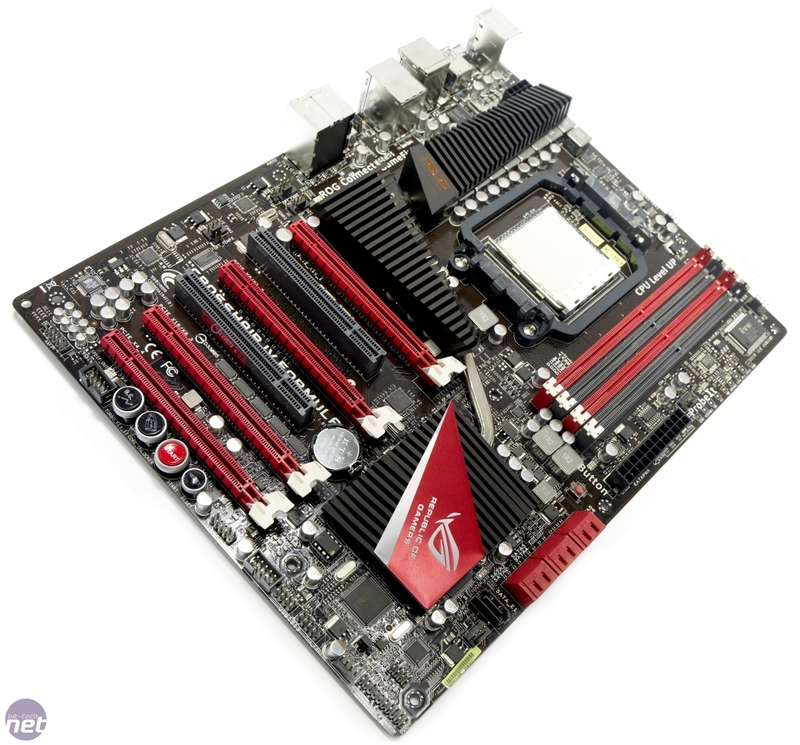 It should be of little surprise that the C4F is based around the newly launched AMD 890FX chipset and supports the new six-core Phenom II X6 as well as up to four graphics cards teamed in CrossFireX. 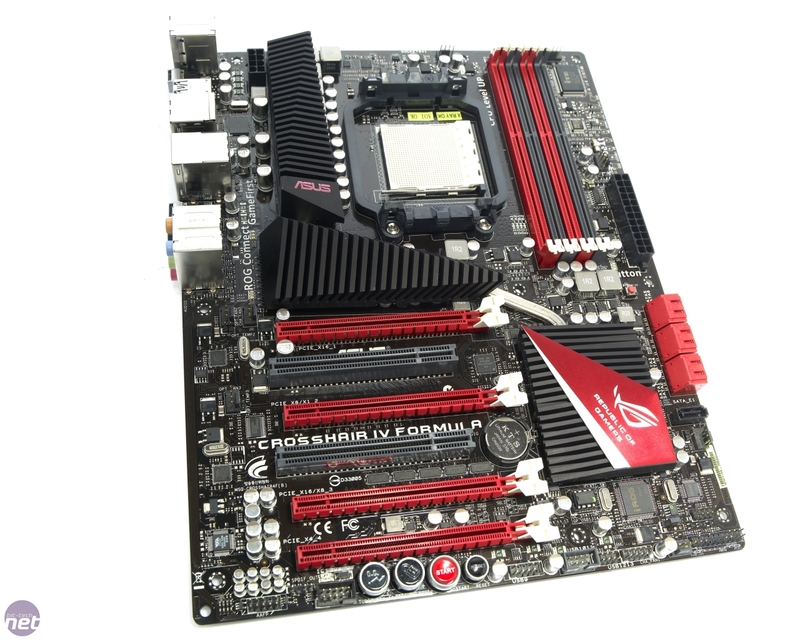 However, while the C4F has four high-speed PCI-E slots, the lowermost slot only provides four PCI-E lanes, so at best we'd only recommend three-card CrossFireX. The slots are clearly labelled so that you know that if you only want to use two graphics cards, you know that it’s the top two that will give you full bandwidth per card. A pair of graphics cards will likely get toasty though, as Asus has only placed a PCI slot in between the primary and secondary 16x PCI-E slots. There’s another PCI slot beneath the secondary graphics slot. 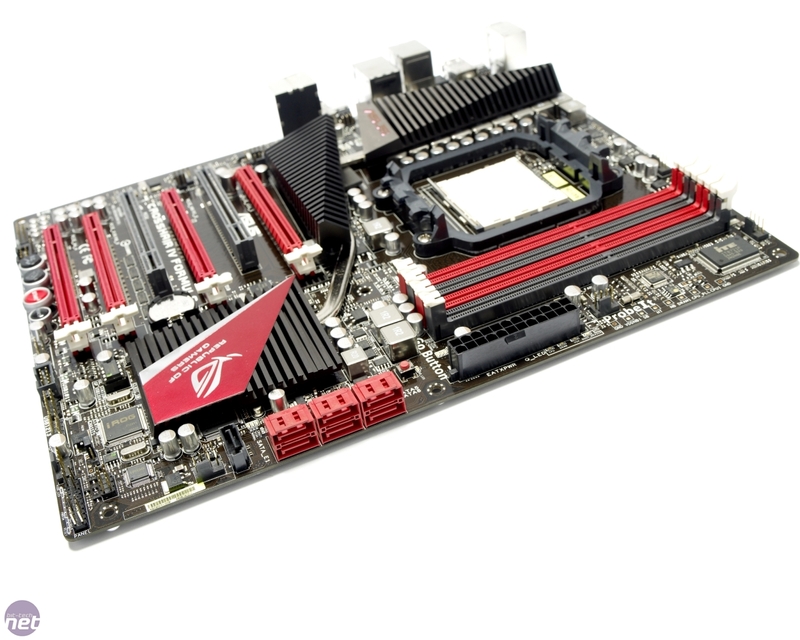 The 890FX chipset connects to the SB850 Southbridge, which brings native SATA 6Gbps support. Asus has attached an NEC USB 3 controller to this Southbridge for a pair of USB 3 ports at the back. 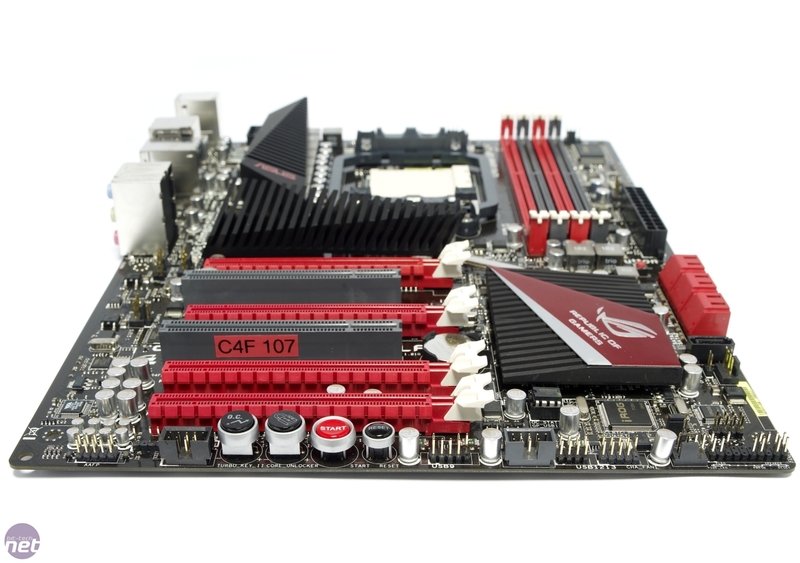 The board itself looks very similar to the Rampage III Extreme, with its black and red colour scheme and the Escher-esque heatsinks. 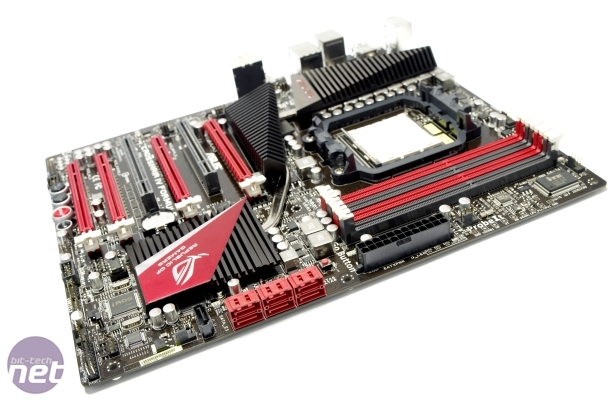 The two boards even share a few features, such as the ROG Connect port for overclocking via a laptop and ProbeIT voltage measuring pads. We question how many gamers (rather than overclockers) really consider either as useful additions. Even the Go Button (which can check memory compatibility during POST and loads a memory overclock profile when you’re in Windows) seems more suited to an Extreme motherboard rather than a gamer-focused Formula board.